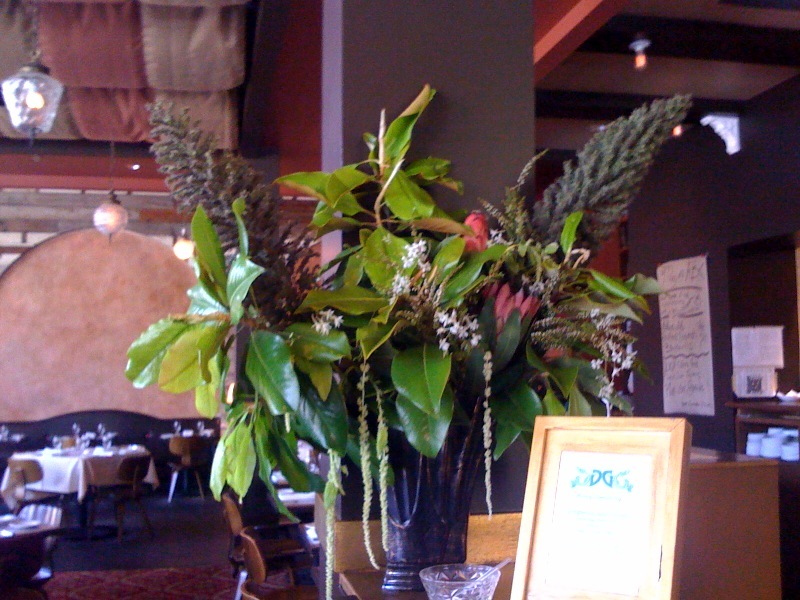 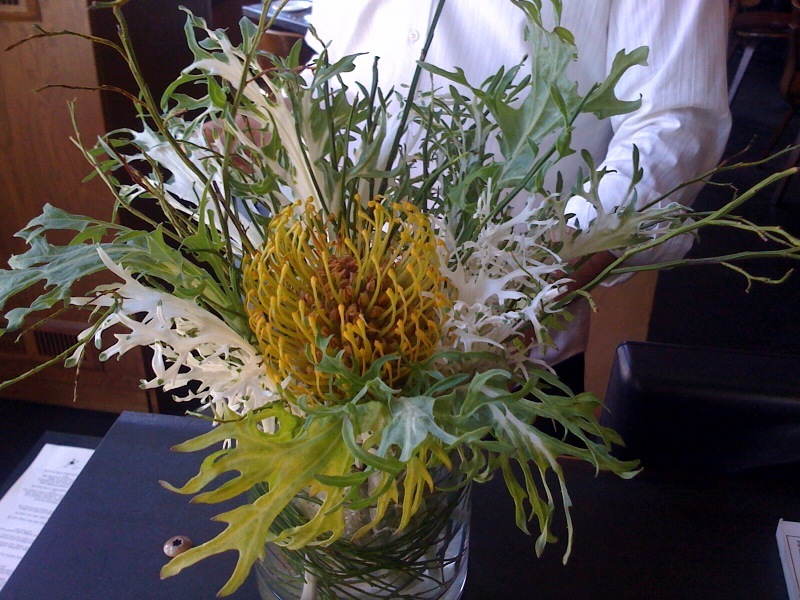 Gorgeous and Green does the weekly arrangements for the restaurant Paisan, in Berkeley. 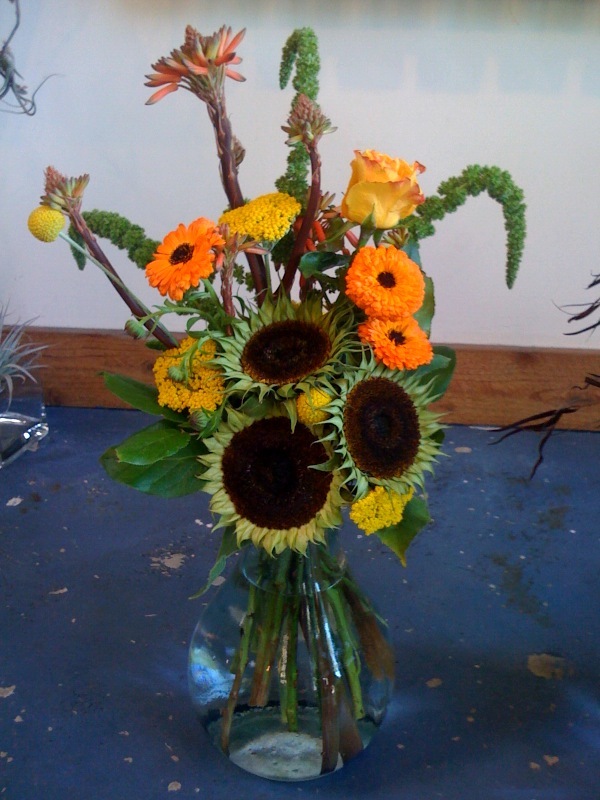 We usually do just a few pieces, they have a small space and just a few touches of color brighten it up. 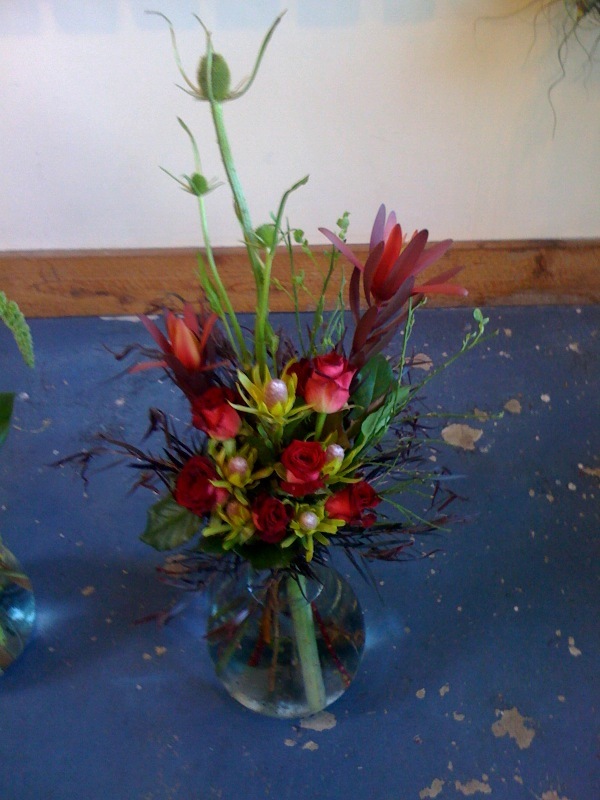 These were created by my assistant Ryan. 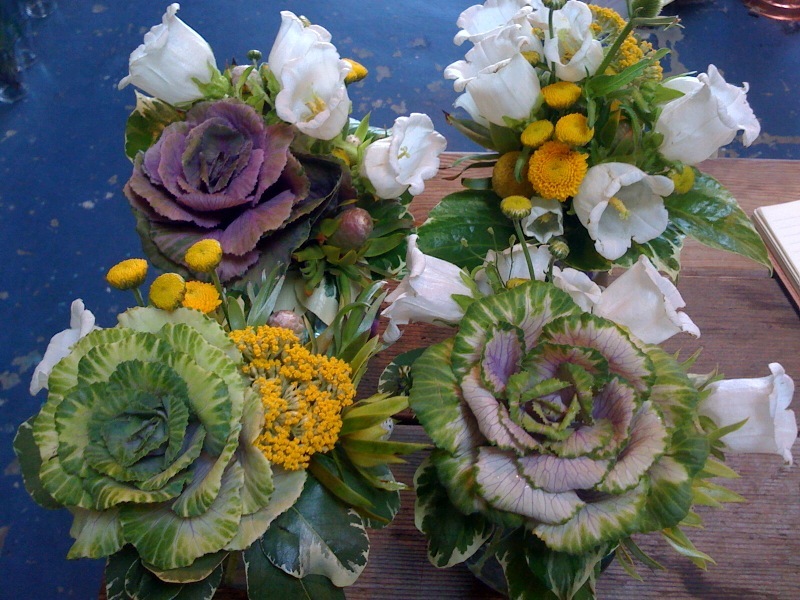 Last week at Revival I used a lot of green for the arrangements. 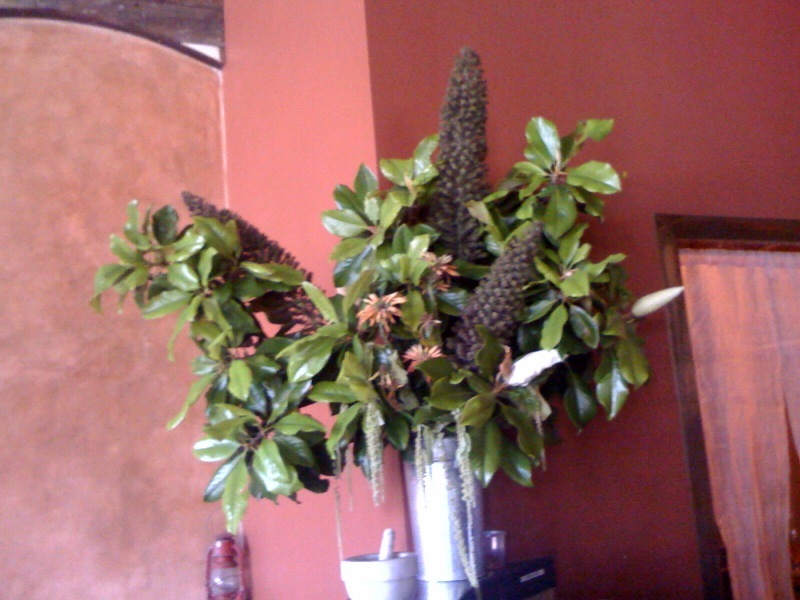 I love all the different textures and strange looking living things that show up in these arrangements.